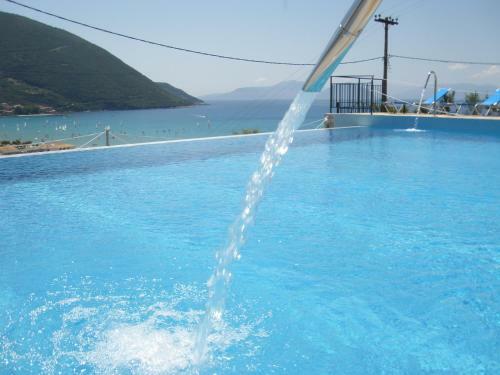 Vassiliki (Vasiliki). 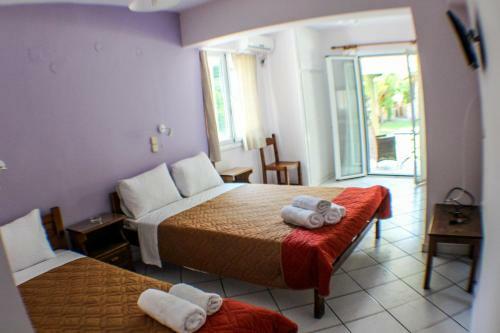 Vassiliki is located in the south of Lefkada at approximately 40 kilometres from Lefkada town. 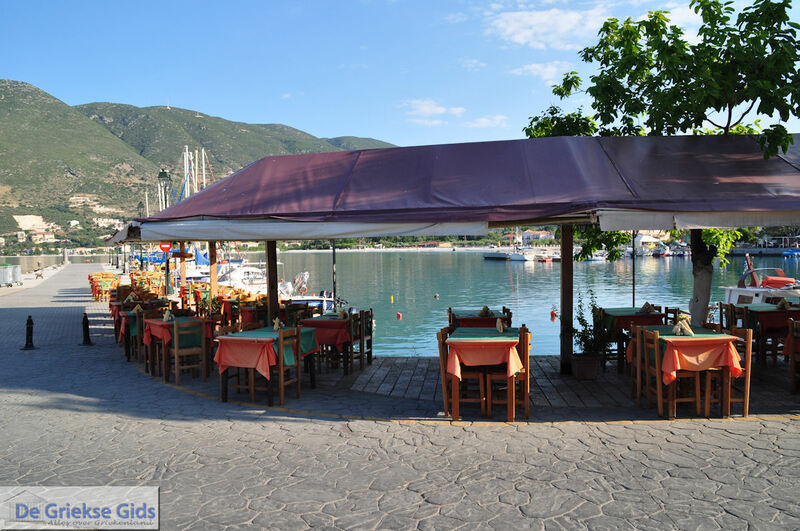 Vassiliki is located in a lush green environment, in a large bay. 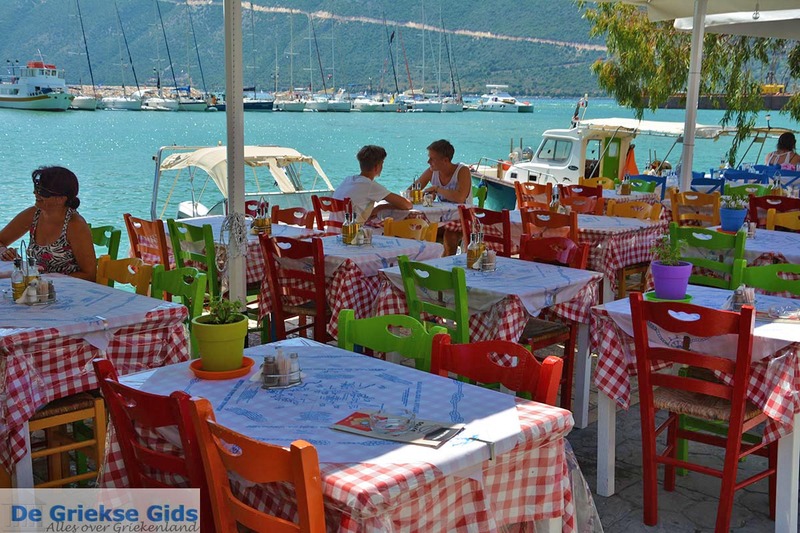 Vassiliki has a harbour. 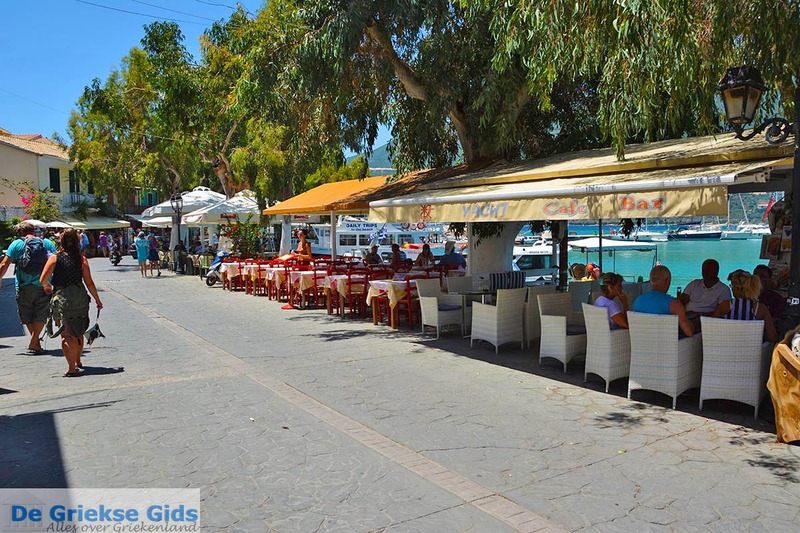 Around the harbour on the quay are many seafood restaurants, tavernAs, cafes and bars. 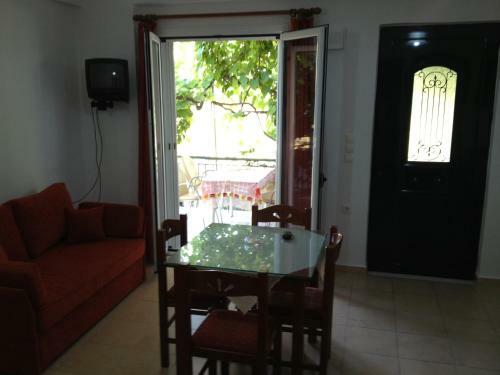 It is very nice and cosy! 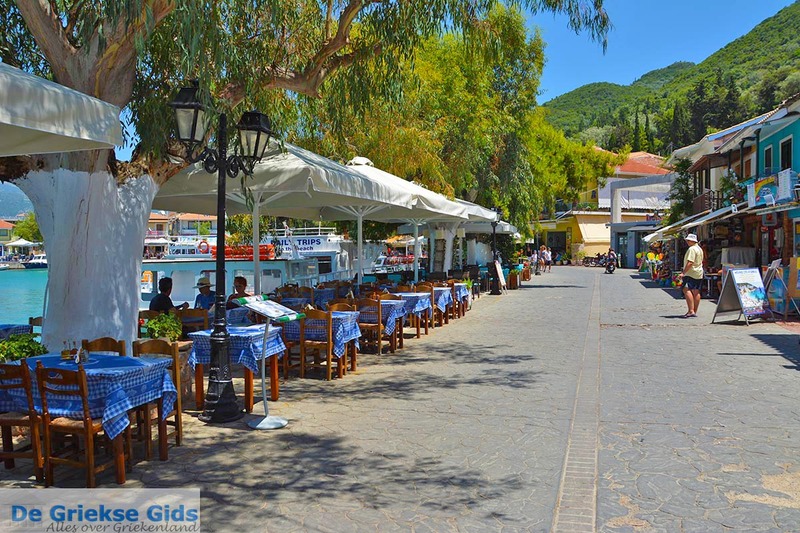 In the village are also bakeries, various shops and souvenir shops. 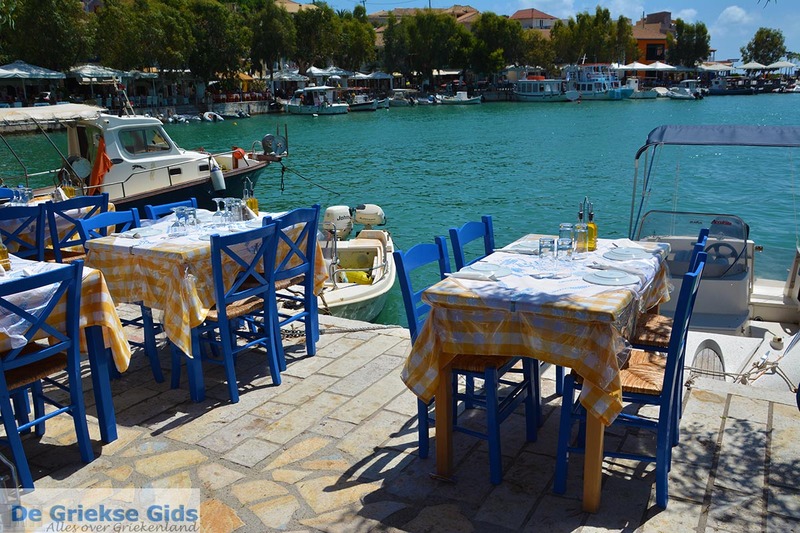 Besides the small fishing port, there is also a larger port. From here boats sail, among others, to Ithaca and Kefalonia. 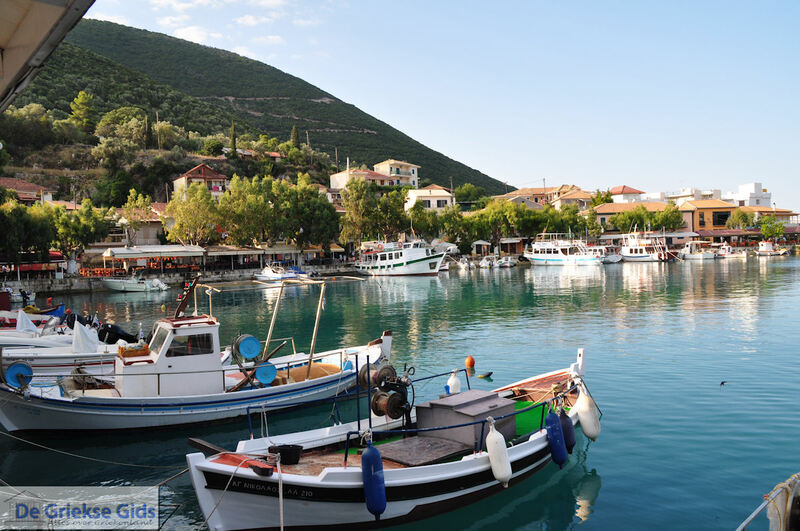 There are boats also sailing daily to nearby beaches such as Porto Katsiki and Egremni. 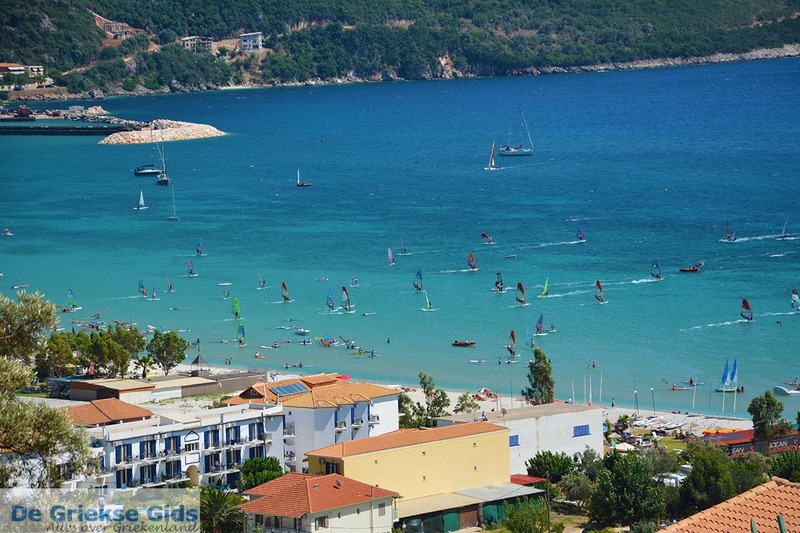 When you sail to these beaches you pass next to the impressive Cape Lefkatas. 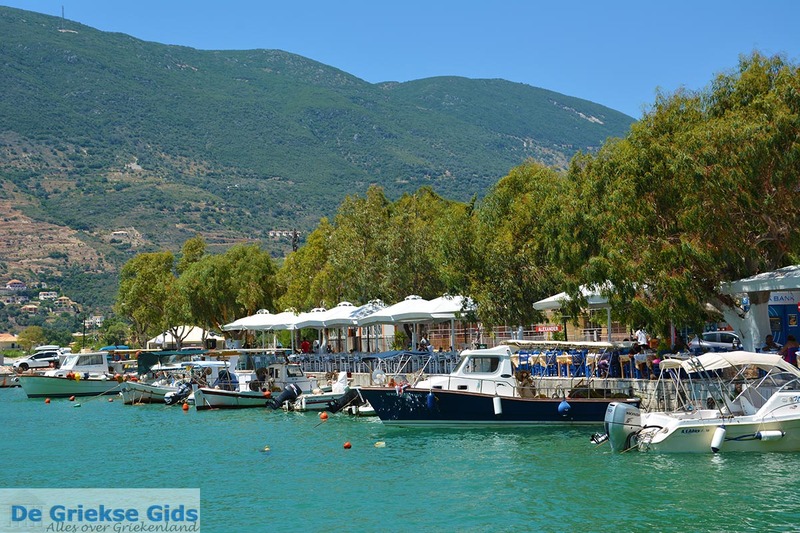 Last but not least, there are shuttle boats that sail every hour to the nearby Agiofili beach (3 km), one of the most beautiful beaches on Lefkada. 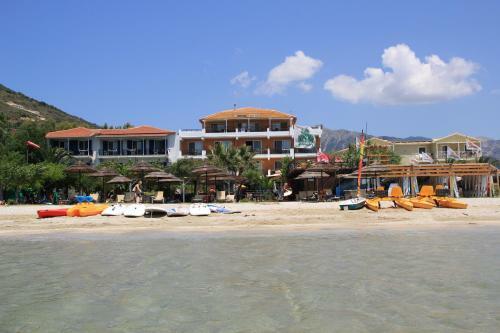 The large beach at Vassiliki is located west of Vassiliki in the hamlet "Ponti". It is a sand and pebble beach where several surf schools operate. 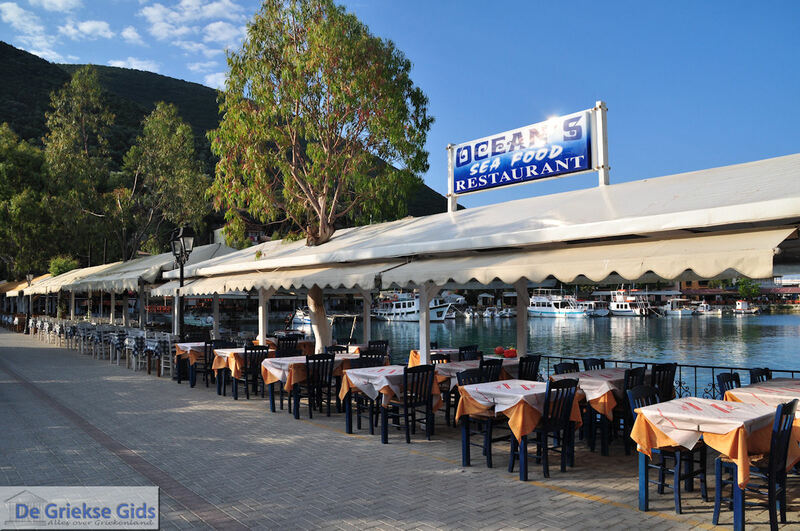 Vassiliki is also very popular among young tourists, because apart from surfing and practicing many other water sports, there is a nightlife here which is very popular. 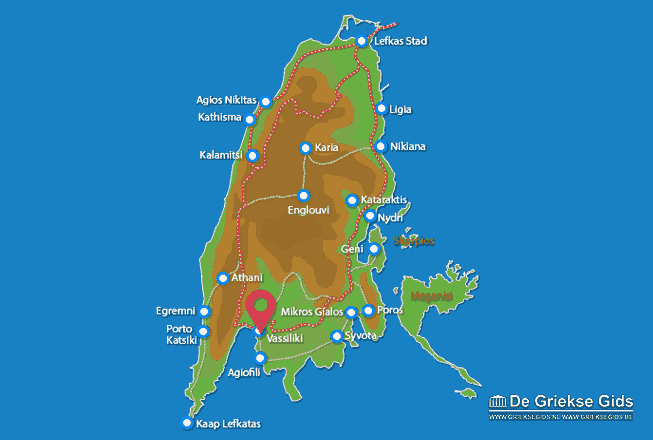 What many people do not know is that there are good wines produced in this region. 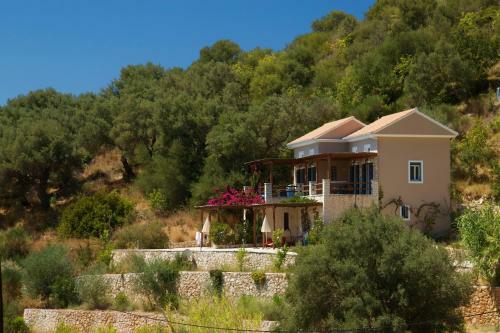 "Lefkaditiki Gi ', which literally means' Land of Lefkada', is a company that produces excellent wines and exports. 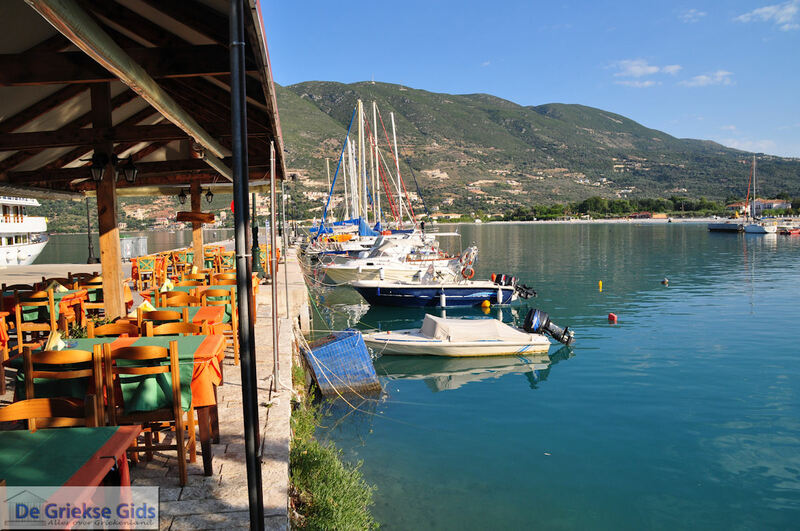 Lefkada: Where on the map is Vassiliki located?